When was the last time you pre-owned the word 'love' to describe how you feel about your car? At Wickstrom Ford Lincoln, we hear our customers say it all the time because we offer a wide range of new and pre-owned Lincoln to drivers from Hoffman Estates, Elgin, Arlington Heights and Barrington,IL. At Wickstrom Ford Lincoln we have many Lincoln options to choose from. Our online inventory reflects the latest arrivals, including the likes of the Lincoln MKX, Lincoln Continental, Lincoln MKC, Lincoln MKZ and Lincoln Navigator. Take your time when looking for that ride that screams 'you', come and try all the options until you've found the right fit. You'll can check out our selection of pre-owned cars as well. We work tirelessly to maintain a selection of Lincoln gems, ensuring you drive off in a pre-owned car that saves you money and performs admirably, no matter where in Barrington, Hoffman Estates, Elgin or Arlington Heights you take it. 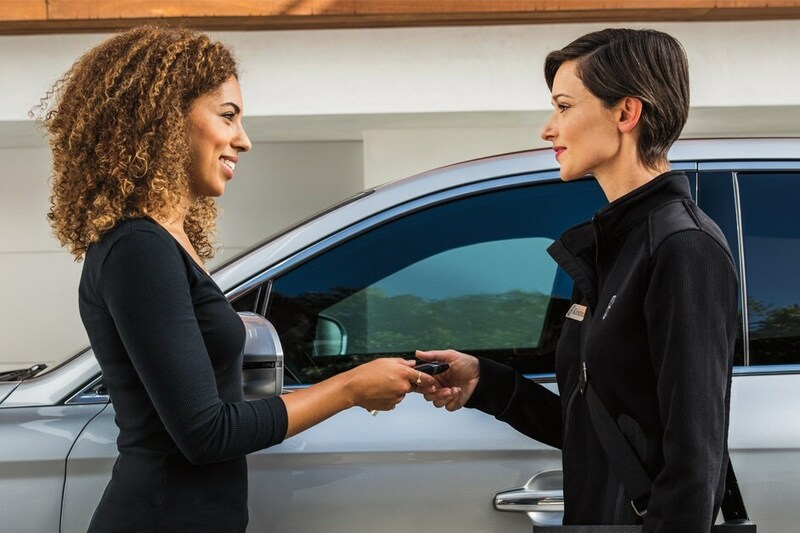 After helping you discover your next new or pre-owned Lincoln MKX, Lincoln Continental, Lincoln MKC, Lincoln MKZ or Lincoln Navigator, Wickstrom Ford Lincoln car loan and lease experts will answer any questions that you may have and help you down the path to ownership! Now, we can't overstate the importance of routine service when it comes to maintaining your car's overall health and peak performance. We offer you expert service and craftsmanship at our Lincoln Service Center in Barrington, IL. We're staffed by highly-skilled technicians that know all the ins and out of your car. We employ Genuine parts and accessories along with cutting-edge maintenance equipment to perform essential car services like oil change, brake repair, tire rotation, check engine light diagnosis, state inspection and much more! We serve drivers in the near Hoffman Estates, Elgin and Arlington Heights areas. Now, that's just scratching the surface of all we have to offer! Don't just take our word for it, though. Instead, make it a point to visit Wickstrom Ford Lincoln to learn more about our plethora of automotive services today!